“Veganwashing” refers to a form of whitewashing meant to encourage positive association of a subject with veganism or animal rights. It occurs, for example, when a company introduces plant-based alternatives to their non-vegan product line to raise their image among compassionate consumers and compete for a share of the vegan market without ever actually reducing their contribution to animal suffering. Probably the most widely-reported example of Israeli veganwashing is the 2015 initiative by Anonymous for Animal Rights (Israel’s largest animal-rights organization) to re-brand the Israeli Defense Forces, which now provides plant-based meal options and non-leather boots, making life easier for vegan soldiers tasked with robbing the indigenous of their land and livelihoods. But there has been no effort by Israeli vegan groups to advocate on behalf of the IDF’s Palestinian victims and no effort to build solidarity with the animal rights community in occupied Palestine, despite the fact that animal suffering at the hands of Palestinians in the occupied territories (as with all neighboring Arab nations) pales in comparison to Israel, where consumption of animals is on the rise. Israel now ranks first in the world in per capita consumption of animals (chickens) and fourth in per capita consumption of animal products. So, although the group supports the (anti-intersectional) “Non-Humans First Declaration“, which pledges subordination of humans to the advancement of animal liberation, it’s clear Anonymous for Animal Rights is putting at least some humans first. While Anonymous for the Voiceless claims to have convinced over 125,000 people to consider going vegan, research tells us that—of those who actually end up making the switch—only around 30% will stick with it long term. Of course, helping even one person take steps to reduce harm is commendable, but it should be weighed against the damage of indoctrinating at least as many—including thousands of animal liberationists—into believing that colonial imperialism is somehow beneficial to animal rights or that human rights are somehow inconsequential. These destructive ideas are reinforced by leaders seeking to crack down on pro-intersectional vegans, referred to by AV director, Paul Bashir, as “toxic people” and “a cancer” to the movement. Anyone who dares to criticize other vegan activists from a Left/progressive point of view is to be “publicly and emphatically condemn(ed)” by the vegan community, according to Bashir. So, when a prominent vegan, like youtuber Jean-Philippe Cyr—a white Quebecer who markets himself as “The Buddhist Chef”—gives cover to human-rights abusers, as he did in accepting an invitation from Zionist tourism nonprofit, Vibe Israel (along with several other influential vegans), activists are expected to give him a pass, or at least make their objections in private. But even public objections are easy to ignore, just like Cyr ignored the numerous pleas from fans to be mindful of the plight of Palestinians, deciding instead to capitalize on their oppression. He also declined an invitation from the Palestinian Animal League, adding further insult. I don’t doubt that virtually all animal rights activists have the best intentions at heart, and I agree that bickering can sometimes be pointless and counterproductive (like complaining that your racist and sexist comments and tactics are receiving criticism). But discouraging challenges to the organizational status quo from ordinary members—insisting on unity at the cost of critical thinking—poses a real threat to any social justice group, making it vulnerable to exploitation by outside interests and creating a slippery slope towards cultish authoritarianism. If we’re ever to increase support to a point where we’re capable of transforming or abolishing oppressive capitalist industries, like animal agriculture, we must reject specious calls for “vegan unity” and work to reestablish our roots among the social movements of the Left. Forget about hierarchical, single-issue organizations led by self-promoting “vegan celebs”. Advocate for animal liberation in the communities you’re already part of—and vice versa. Advocate to your vegan friends about class struggle and other social justice issues and how they’re part of a broader fight for total liberation. That’s how we will grow this movement. 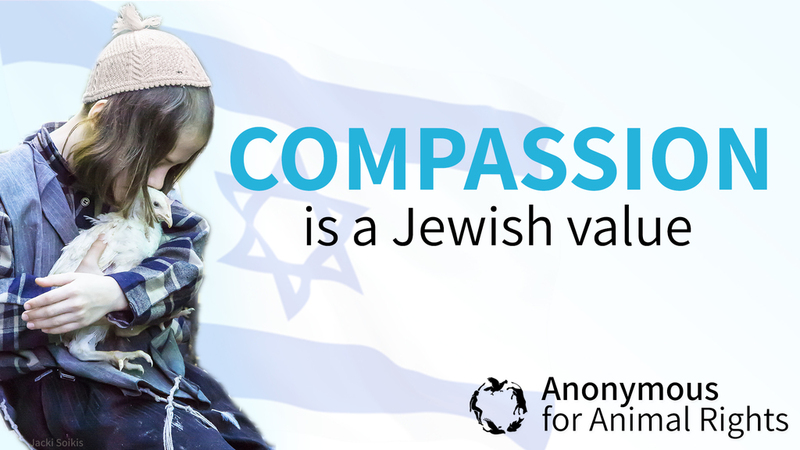 A number of member-driven groups are engaged in this work, including the Palestinian Animal League, Earthling Liberation Kollective (ELK), Vegan Feminist Network, Vegan Voices of Color and, of course, Collectively Free. Visit CF’s “Get Active” page for more. And please check out the BDS campaign’s “Get Involved” section to find out how you can help. Chris Hendricks is a pro-intersectional animal-rights advocate and longtime vegan living in Austin, Texas.